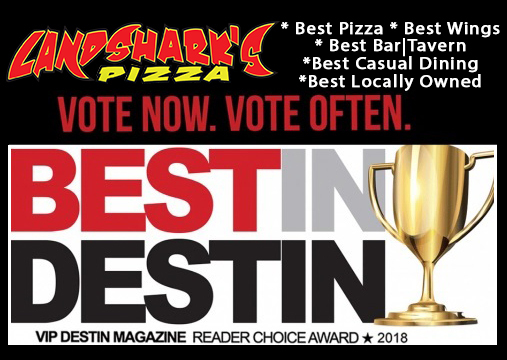 / Best Award Winning BBQ Destin FL / Landshark’s NASCAR AAA TEXAS 500 Action Sunday|BRONCOS vs EAGLES ‘You Score, We Pour’ & More Specials! 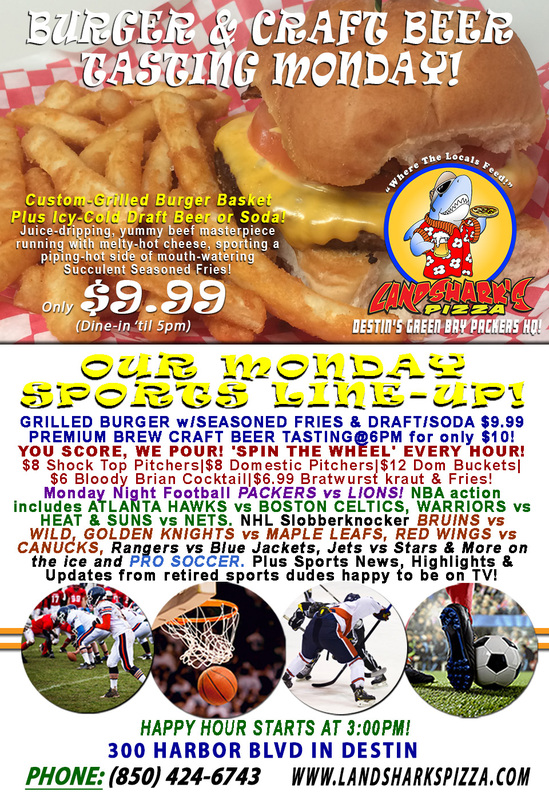 Landshark’s NASCAR AAA TEXAS 500 Action Sunday|BRONCOS vs EAGLES ‘You Score, We Pour’ & More Specials! 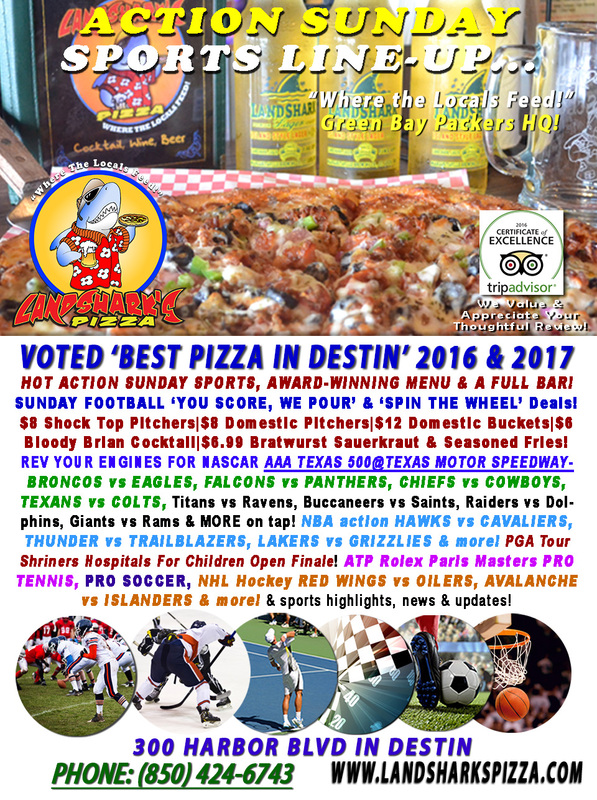 Super Sports Sunday 200-MILE-AN-HOUR excitement continues along with NHL, NBA, Tennis, Soccer, Golf and the ‘BEST PIZZA IN DESTIN’ (Voted 2016 & 2017! ), a belly-busting menu of delicious eating from Award-Winning Wings, Oven-Baked Subs & Calzones to The Best Traditional BBQ, loads of appetizers, and A FULL BAR! FANTASTIC FOOTBALL SPECIALS – YOU SCORE, WE POUR! Wear your favorite team’s jersey and win a FREE BEER POUR with every touchdown! ‘SPIN THE WHEEL’ DEALS Every Hour! 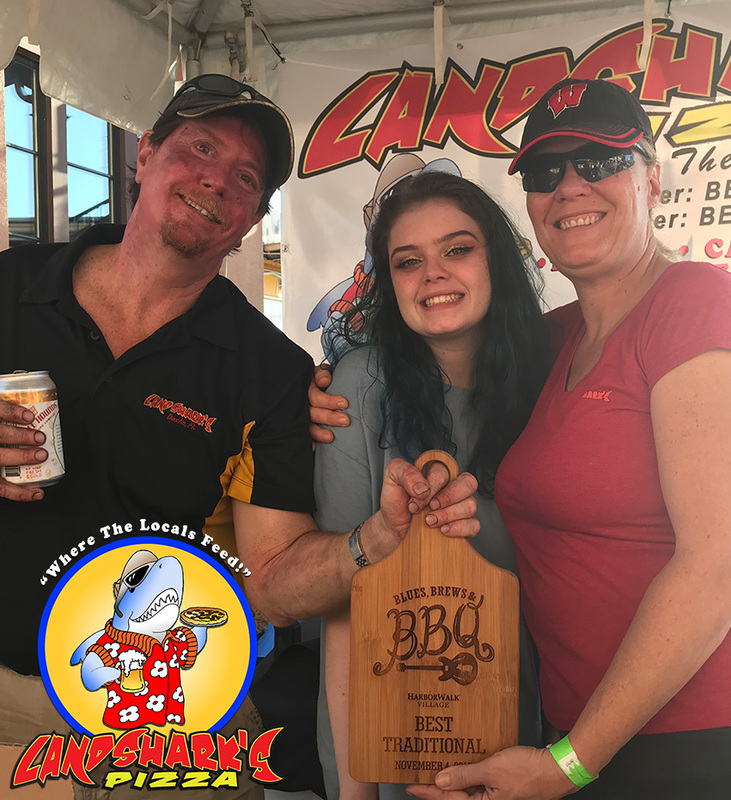 CONGRATULATIONS TO THE ENTIRE LANDSHARK’S TEAM FOR WINNING BLUES, BREWS & BBQ FESTIVAL ‘BEST TRADITIONAL BBQ IN DESTIN’ TWO YEARS IN A ROW!!! SPORTS ON OUR ARMY OF BIG SCREENS – NASCAR Monster Energy Cup Series AAA TEXAS 500@Texas Motor Speedway. Pro Football BRONCOS vs EAGLES, FALCONS vs PANTHERS, CHIEFS vs COWBOYS, TEXANS vs COLTS, Titans vs Ravens, Buccaneers vs Saints, Raiders vs Dolphins, Giants vs Rams & MORE on tap! NHL Hockey hugfest RED WINGS vs OILERS, AVALANCHE vs ISLANDERS, Canadiens vs Blackhawks & Devils vs Flames! Hot NBA hoops ATLANTA HAWKS vs CLEVELAND CAVALIERS, THUNDER vs TRAILBLAZERS, LAKERS vs GRIZZLIES, Spurs vs Suns, Pacers vs Knicks & more! PGA Tour Shriners Hospitals For Children Open Finale! ATP Rolex Paris Masters PRO TENNIS & PRO SOCCER & plenty of other Sports Broadcasts, Sporting News, Analysis, and Commentary! 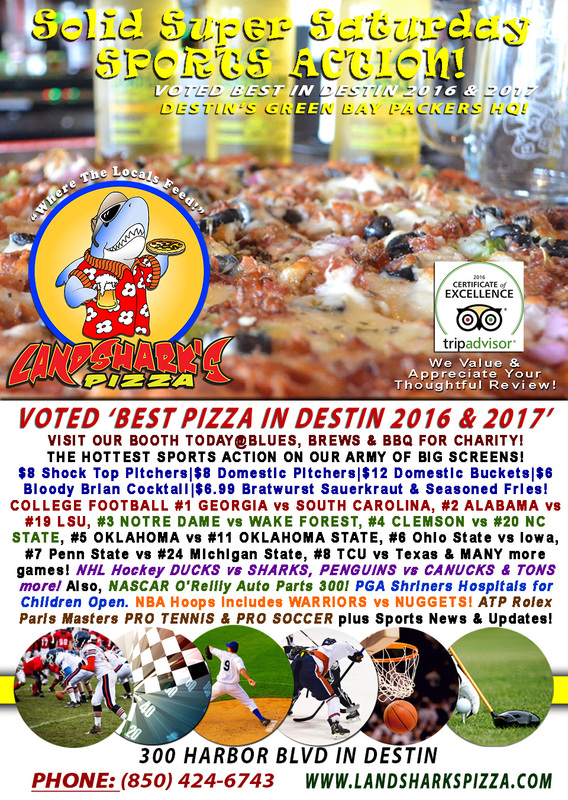 Previous Post: « Landshark’s Saturday NCAA FOOTBALL SPECIALS ALABAMA vs LSU & LOTS More|NASCAR Xfinity, PGA, NHL & NBA!